You may remember my Hoth Encounter piece I did for Acme Archives a few years back...well, not to sound like I'm flogging a dead Wookiee, but the piece recently resurfaced in a few exciting places. 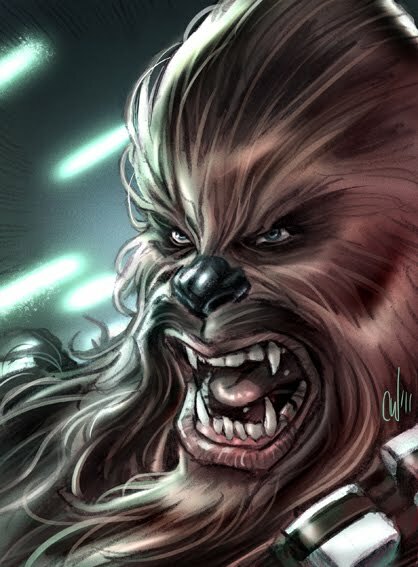 Firstly, I was informed that my piece was featured in the latest Star Wars Galaxy trading card series 6. 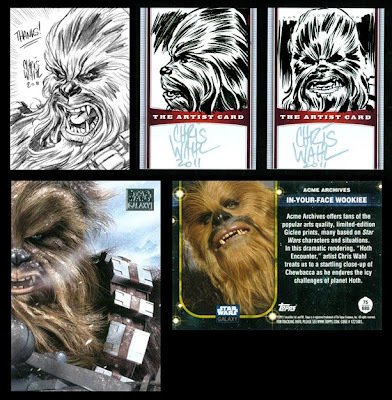 As a result, a few people sent trading cards my way to be signed and I ended up doing a few sketch freebies in the process. One of them I coloured up for fun. 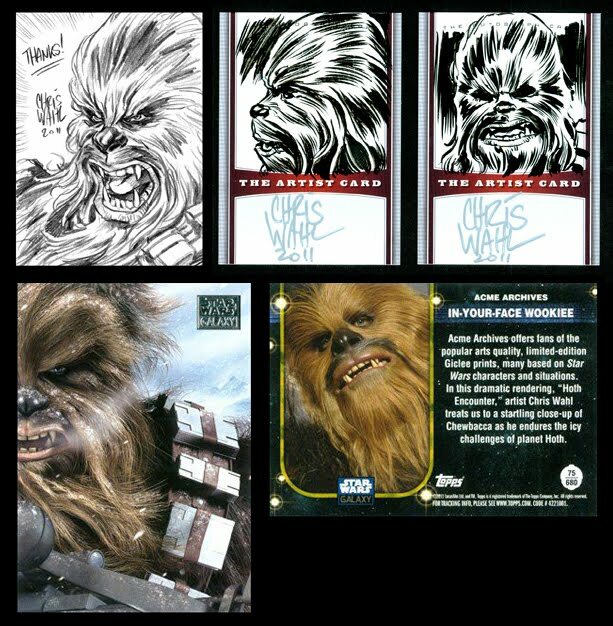 If anyone wants their cards signed, feel free to email me for my address and I'll try and find the time to do a little sketch as well. 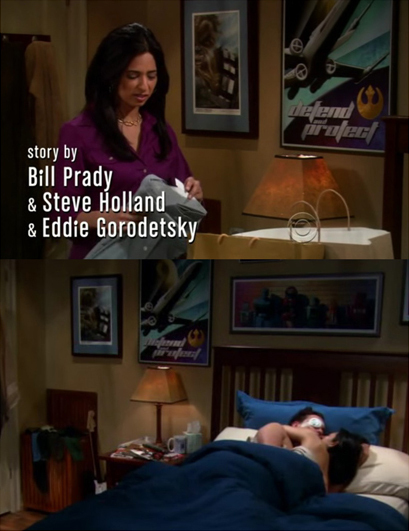 Secondly, I found out that my piece made an appearance in the nerd comedy, 'The Big Bang Theory', hanging as a print in Leonard's bedroom. Blink and you'll miss it, but a spinout nonetheless. Well, that's enough of me tooting my own trumpet. I guess a bit of self promotion can't hurt once in a while. I'll be posting some new work soon. Thanks everyone for your continuing support.